I made tags to go on the dinner table for Thanksgiving. I thought these would be super chic at each place setting, in the middle of the dinner plates. So, I'm pretty sure you can figure it out, but my foil and alcohol ink technique is the leaves. I used 'terra cotta' and 'bottle' to 'color' my leaves. I glued kitchen foil to a scrap piece of card stock. Cut the leaves shapes with a die, and then let the ink drip! I swiped the foil with some rubbing alcohol to help encourage the ink to spread. I dipped the 'green' in the middle of the leaf and the 'orange' around the edges of the leaf. I used my heat tool to speed up the drying time. I cut a tag from vanilla card stock. I distressed it with a blank stamp and linen distress ink. I stamped the text in crumb cake classic ink and the flourish in lucky limeade classic ink. I edged the tag in corduroy distress ink. I adhered the leaves, tied some beautifully dyed seam binding around the tag, and looped it through a brass button, and tied a tiny bow. I stamped the sentiment in basic black craft ink and used clear embossing powder to help heat set the sentiment. Viola! easy peasy and a whole lot of fun! 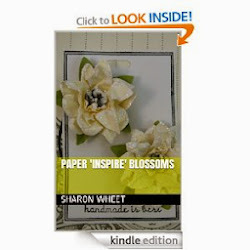 I hope you can carve out a little time this crazy busy week, to play with your paper crafts! 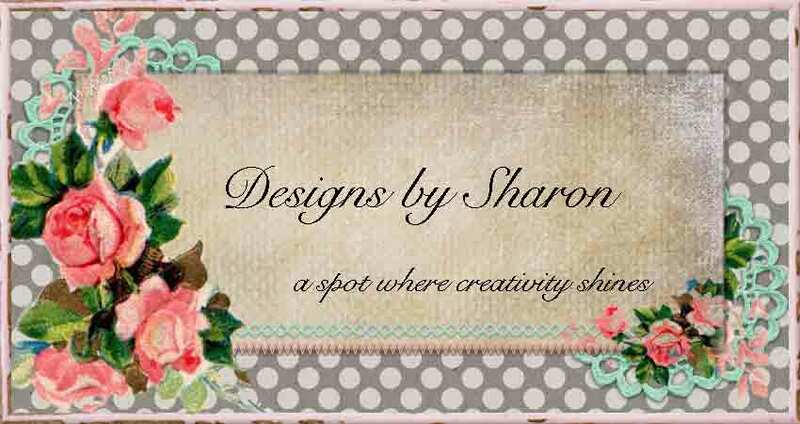 and I hope you play along with us @ Our Creative Corner. Be safe this holiday season, and share this time with those who mean the most to you: family, friends, and neighbors. Beautiful leaves Shanon! I love those rich colors you achieved using the technique. Fabulous tag! 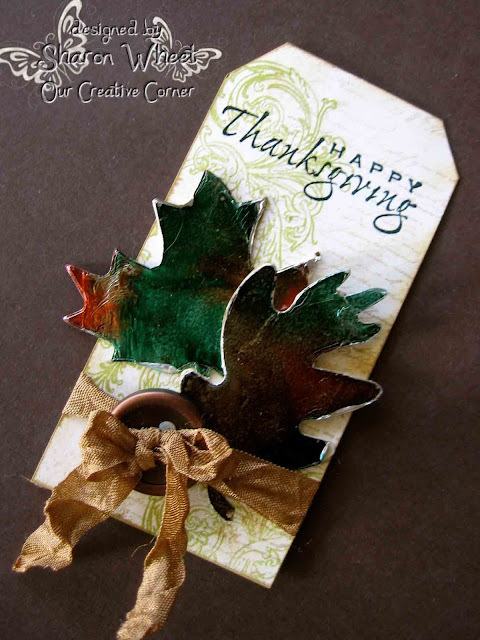 Great place tags, and the colors of the leaves are rich. I do like the swirl in the background too. Very nice. Love the vibrant colors this technique offers! Looks like so much fun! Thanks for sharing your lovely creation and praying you and yours have a wonderful Thanksgiving! What a unique idea and how well they will go down with your guests on Thanksgiving. Your leaves look gorgeous. I am so impressed by what you have all created this week.